Metalcore nowadays is constantly dogged by criticisms, whether they’re claiming the scene is too crowded or the music itself has become too generic. While a few bands have had the good fortune to become leaders of the pack, others have been left to combat these claims personally. blessthefall are a good example. Having been a band for over ten years, they have found themselves in an all-too-common position of being reliable and well-liked within the genre, but not to the point where they could take a place in that top tier. New fifth album To Those Left Behind only cements this position, acting as a smorgasbord of breakdowns, technical riffs, and sky-high clean vocals. It’s evident from the start that blessthefall have made the decision to stick with that classic metalcore structure of opening with a riff, getting heavy, then throwing a breakdown and maybe a quiet bit into the mix. It makes openers Decayer and Walk On Water easily dismissible, as neither is something particularly groundbreaking, which is frankly essential in a scene where the same thing is so often regurgitated again and again. In fact, To Those Left Behind is overflowing with by the numbers metalcore, leaving anyone not totally infatuated with the genre probably wanting to switch off sooner rather than later. But that’s not to say blessthefall don’t try to branch out on this album. Adding hip-hop beats and synth vocalising to their own brand of metalcore in Keep What We Love & Burn The Rest is possibly one of the most dire decisions the quintet have ever made, and anyone who can stop themselves from squirming with embarrassment throughout probably deserves some kind of a medal. But where this album really shines is in the melodic parts frontman Beau Bokan delivers so well. In fact, Dead Air and Condition / / Comatose, the two best songs out of the eleven, are the most radio friendly, sounding more like epic rock songs due to the lack of screams and slower paces than most of everything else on offer. While Bokan’s vocals get a bit too saccharine on To Those Left Behind’s heavier tracks, they soar on these ones, proving that he can indeed carry a song and make it undeniably great. Which is why the fact that atmospheric closer Departures falls flat is more frustrating than disappointing, especially given that there are, yet again, no screams to be heard. Relying more on creating a lush texture to build the track than utilising these clean vocals they have to hand to their full potential, it just seems like a bit of a waste. The one word that springs to mind in regards to To Those Left Behind is “generic”. In terms of blessthefall’s genre, it’s in no way a bad album, but to a more casual metalcore listener, this in no way sets them apart from anyone else. Quite the contrary. To give credit where credit’s due, most of the heavy songs on this album have great hooks when it comes to their choruses. But, like most of its positives, these are Bokan’s doing, and apart from showing the sheer skill of guitarist Eric Lambert when it comes to the riffs, the rest, namely the heavy parts, make it challenging to tell one track apart from another. And in a genre that’s overcluttered as it is, it’s just not good enough. 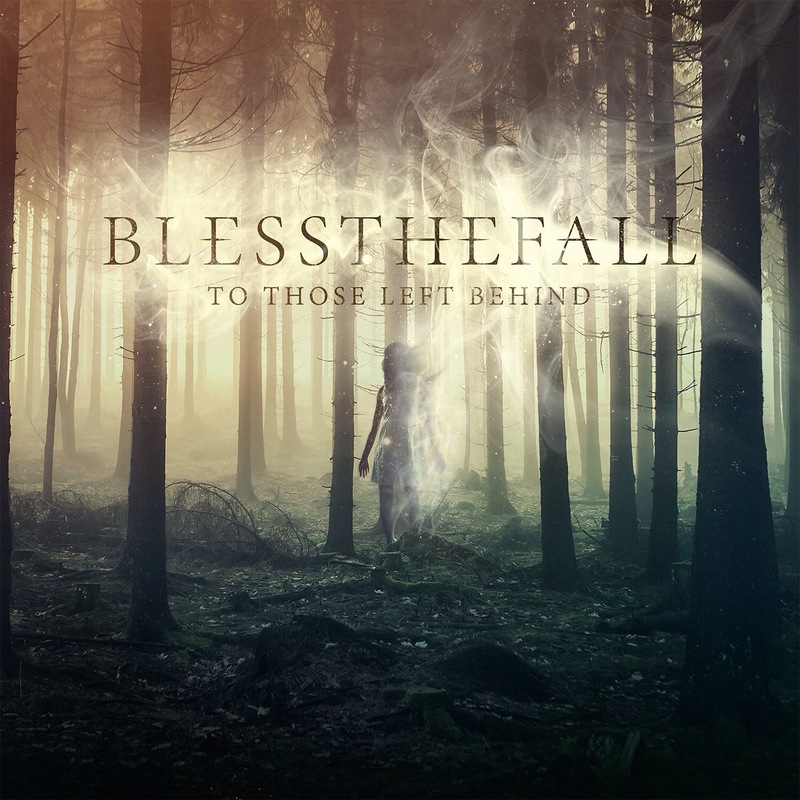 ‘To Those Left Behind’ by blessthefall is out now on Fearless Records.